The Omega Wicker Arm Chair by Teak Warehouse is a beautiful representation of high tech materials and gorgeous contemporary design. From the lightweight aluminum frame to the minimalist weave, and the ultra high-tech outdoor wicker fiber; everything about this wicker arm chair denotes quality and stylistic presence. The Omega Wicker Arm Chair so generously epitomizes the idea of a true relaxation chair, but never for a second, does the Omega wicker arm chair relinquish any of its characteristic contemporary styling. It’s not just about having outdoor furniture that does one thing well anymore. Our customers demand the best of everything, the Omega offers that. It is lightweight. 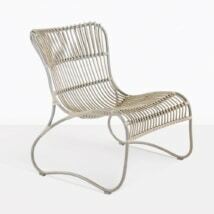 The Omega Wicker Arm Chair is beautiful. It is durable, and it is built with materials that are the highest quality. W27" x D26" x H32"
Regarding materials: this outdoor wicker arm chair is built from powder-coated aluminum with a slight texture, which gives off a sheen and brightness that is still soft and inviting. 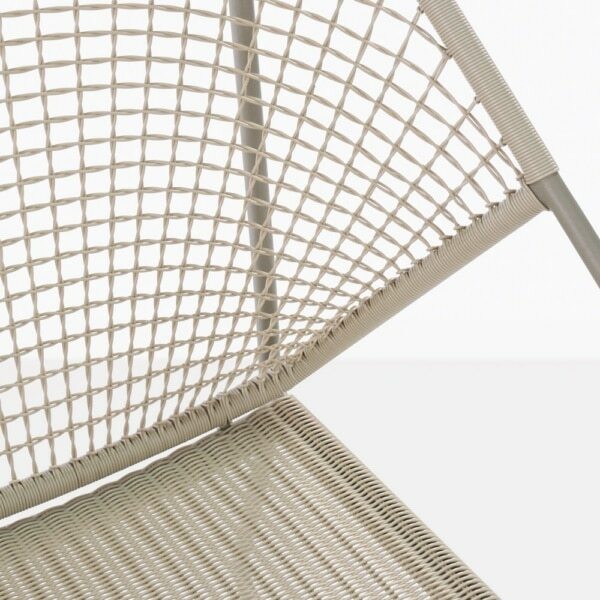 Also used in the manufacture of this chair is the gorgeous and capable outdoor wicker fiber Ecolene®. Made from a proprietary mix of high-end resins, this fiber is built for suppleness in extreme temperature ranges and longevity in those extremes. The color is through dyed in the composition of the fiber and won’t ever fade or wash out. It comes down to the right looks and the right technical capacity with these materials. 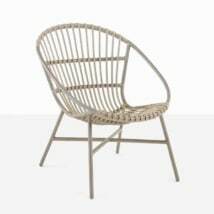 Part of the newest range of contemporary wicker chairs (we’ve got a great mix of relaxing chairs and dining chairs), the Omega Wicker Arm Chair is such a beautiful option. The clean and sleek style has just enough curves to allow your outdoor space to tap into a new look. 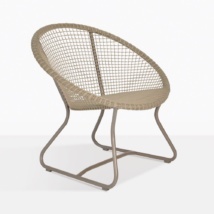 The line of wicker chairs we carry at Teak Warehouse includes other wicker outdoor chairs with a gorgeous mix of styles if you find yourself wanting to play around with your style. 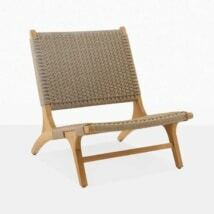 Teak Warehouse is a perfect partner in finding the right outdoor furniture. 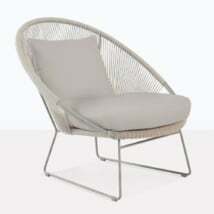 We are proud to offer the highest quality outdoor furniture at the best prices. How’s that possible? We are the manufacturer, the wholesaler and the retailer all mixed into one. We eliminate unnecessary markups by selling direct to you. Because of our incredible material sourcing, the latest in technology in our manufacturing facilities and our impeccable quality control, you can be sure you’ll receive outdoor furniture at the absolute pinnacle of quality. You know why it makes sense to work with Teak Warehouse to buy outdoor furniture; our reputation speaks for itself. 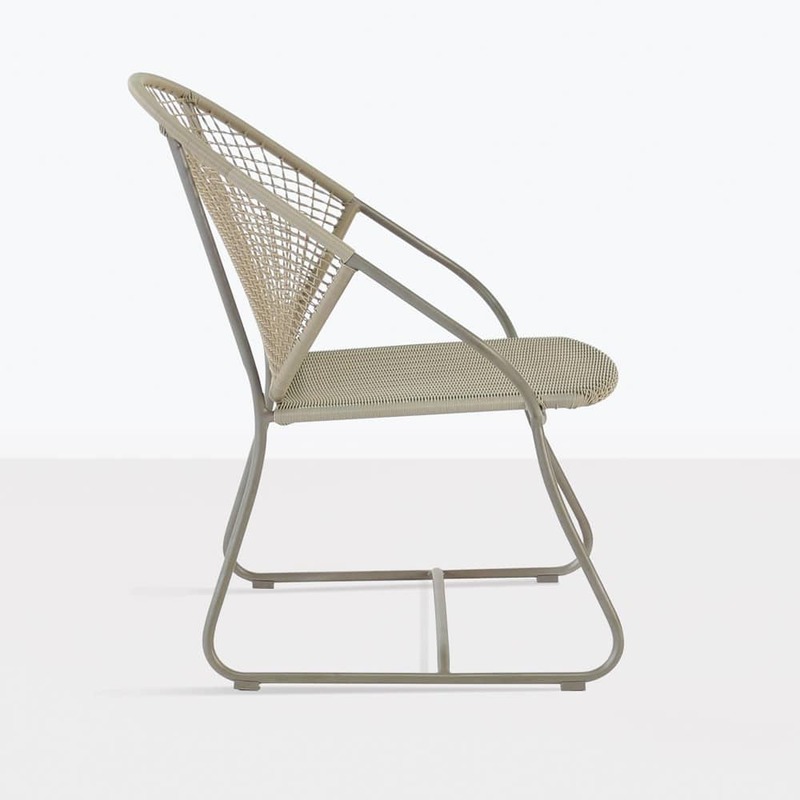 You know why you want the highest quality materials in outdoor furniture; the materials in this chair are built to withstand the harshest outdoor conditions. You know why you want a contemporary style; it seems like it goes with anything and doesn’t require a ton of additional furniture to make the new piece work. 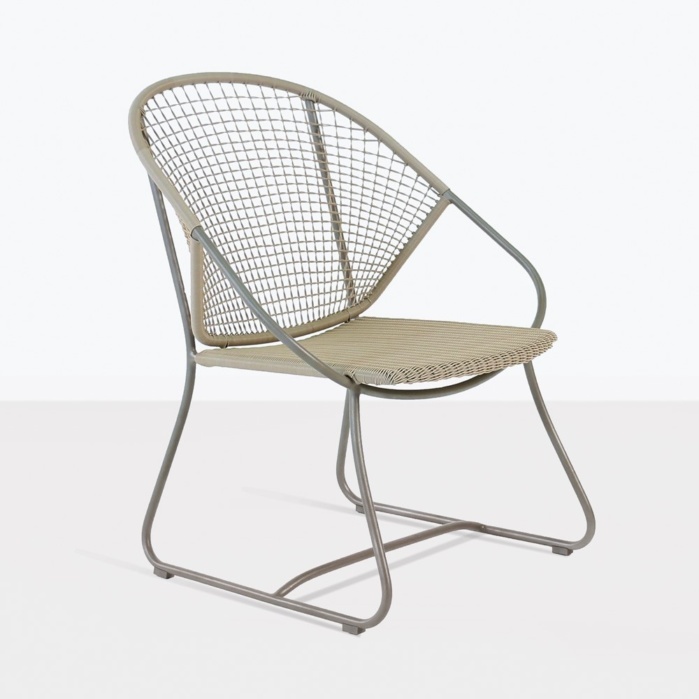 The Omega chair might just be the wicker arm chair that can do it all; perhaps the last wicker chair you’ll ever need to buy.